There’s so much going on at our premier PADI 5 Star IDC Dive Centre! Home/News/There’s so much going on at our premier PADI 5 Star IDC Dive Centre! 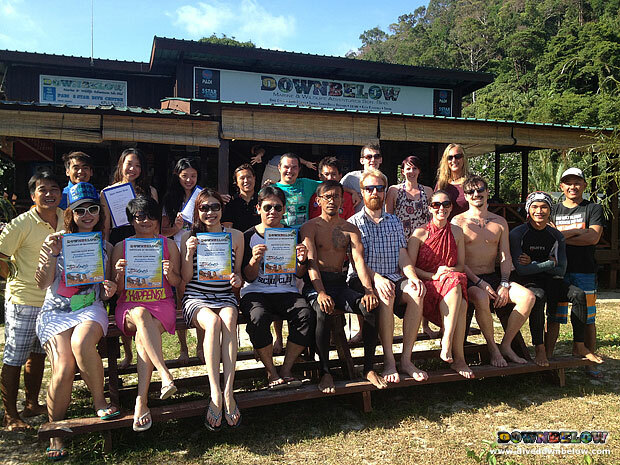 Our premier PADI 5 Star IDC beach house on Gaya Island, Borneo, is enjoying the multiple programs being conducted! Our full time PADI Instructors conducted the various activities for our clients, which ranged from the entry-level PADI Discover Scuba Diving program, all the way to the professional-level PADI Divemaster course. The facilities we possess at our beach house are how we logistically offer so much variety to our clients’ activities. On the doorstep of our beach house is a confined training lagoon where all initial scuba diving skills are conducted, such as the PADI Open Water course and PADI Discover Scuba Diving program. To enjoy a day or multiple days of one of our many activity programs at our Gaya Island beach house, contact one of our experienced Head Office staff in KK Times Square to discuss a suitable itinerary for your Borneo adventure! By Joanne Swann|2014-03-25T08:41:16+08:00March 25th, 2014|News|Comments Off on There’s so much going on at our premier PADI 5 Star IDC Dive Centre!